Mauricio Pochettinos’ men won the first leg of their clash with City after Hugo Lloris denied Sergio Aguero a goal from the penalty spot and Son Heung-min scored the only goal of the game in the 78th minute. 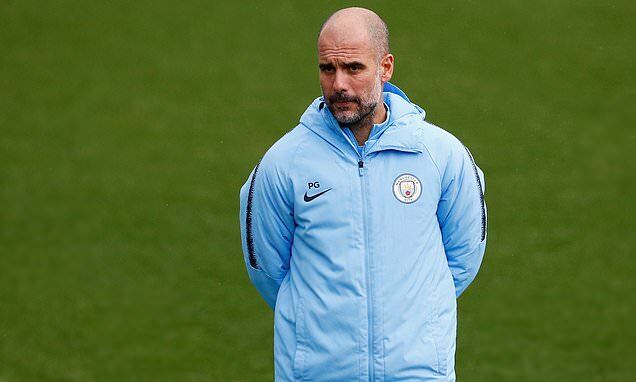 Pep Guardiola’s men will look to fight back as they continue to target the quadruple and will be encouraged by Spurs last eight visits to Etihad Stadium have resulted in seven losses. Sportmail’s Sam McEvoy will provide live Champions League coverage of Manchester City vs Tottenham’s second leg including score, lineups and build up at Etihad Stadium. Welcome to Sportsmail’s coverage of the Champions League where Manchester City take on Tottenham in the second leg of their quarter-final encounter. Mauricio Pochettino’s men take a 1-0 aggregate lead to the Etihad tonight but the tie is far from over with Spurs only needing a draw to book their place in the semi-finals.